Good evening everyone, hope you have a wonderful day. Yesterday I attended the White Henna Party, I have snap some photos click on the link to view it. 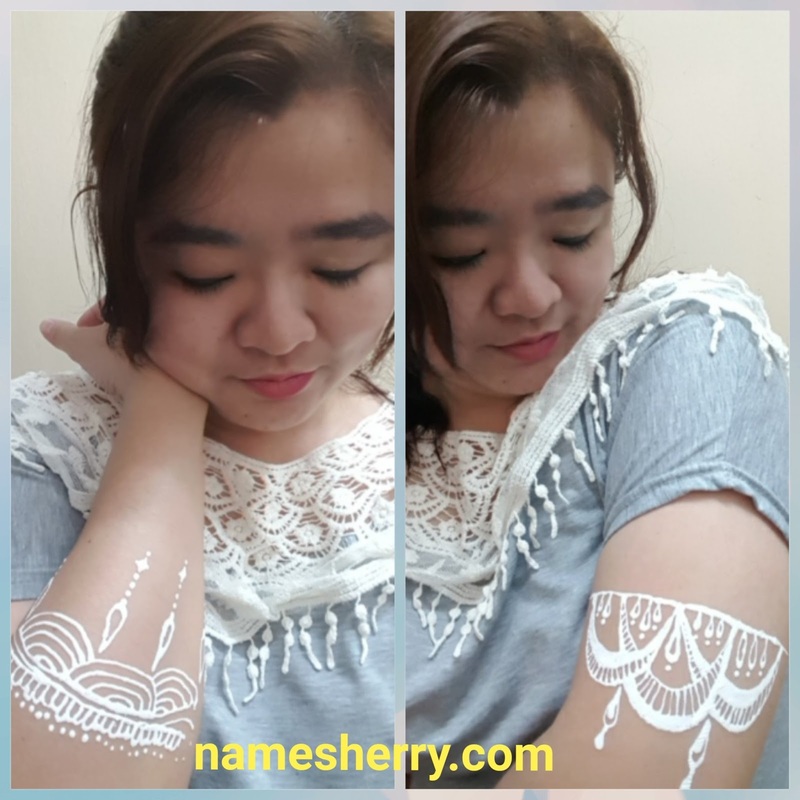 Check out both my white henna, yeah both different design and matching my lace blouse too. I was told that the white henna can last up to a week. I am a clumsy mom, I hope they can last up to a week. The White Henna Party was held at ISOLA Condo Subang Jaya. Thank you for inviting me as I have lots of fun and I like the white henna. Many of my friends saw me with these unique white henna asked me where to get such service. It's unique as usual we saw henna in red or brown color, how about white henna? It's special and suitable for party or wedding, I am sure most girls will like to have their white henna on which is just temporary as I know some of them prefer temporary not permanent on their body or face. from left Shia Lynn, right is Whei Li. About Uniquely HENNA is a creative Malaysian henna art service, a subsidiary brand by The Artsy Craftsy. The liquid used is special as it's all the way from U.S. This white henna is not same as other henna, it's unique and one of a kind. After application, need 25 minutes for it to dry. Other than that avoid leather seat, sofa, vanished wooden chairs and sticky table cover. Avoid scrub on skin of white henna as white henna can easily be remove. For more info on the white henna you can also check out their Facebook. Don't just read here, don't forget to take part the contest on their Facebook.com/uniquelyhennamy for your chance to win a Wedding White Henna Service. I would like to try henna some day. Never had one before. I am also curious how long it would like. White henna looked prettier than those black and red. Hi Rose, yeah its very unique and pretty .